Oh look. 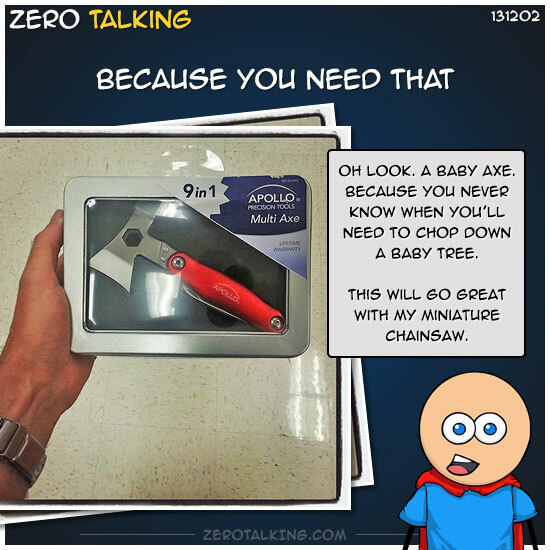 A baby axe. Because you never know when you’ll need to chop down a baby tree. This will go great with my miniature chainsaw.